1715 Ocean Way | A trophy property nestled in the coveted Woods Cove, this one of a kind Ocean Front residence is boasts around 3,200 square feet with only the finest finished. Upon entrance you are greeted by bright blue ocean views from the floor to ceiling windows. This seamless indoor/outdoor living is filled with balconies and terraces off of every room to embrace the sound and sight of the surf, white water, and panoramic ocean and sunset views. This distinguished estate was designed by the renowned architect, Chris Abel. 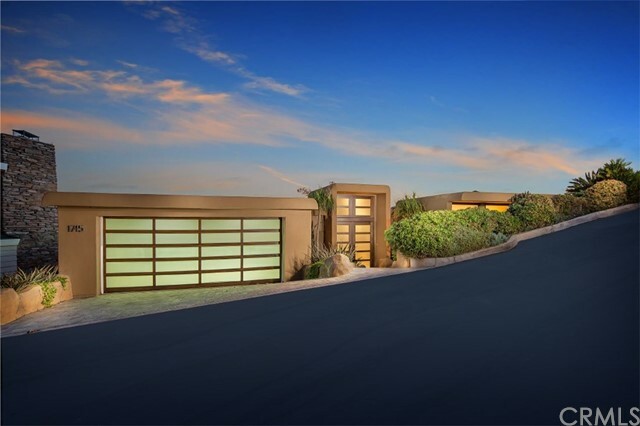 He designed this as a 3 bedroom, 3.5 bath, custom residence featuring a gourmet kitchen with top of the line stainless steel appliances, private master suite featuring a marble bathroom, and a in ground spa looking over the pacific ocean. Every element of this house was custom designed for a purpose, to accentuate the luxurious Laguna Beach lifestyle. Don't miss this opportunity to own this one of a kind estate.